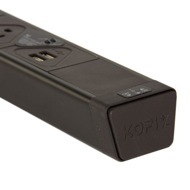 The KBAR Combo line is a designer, 3 port power strip that features a 24W 5V USB charger designed to charge two high power mobile devices in parallel at maximum speed. Its contemporary design easily complements modern home and office interiors. 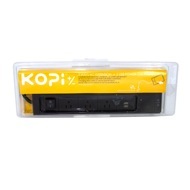 K_SWITCH enables charging both iDevices / Android & Other USB devices at their maximum designed rate. 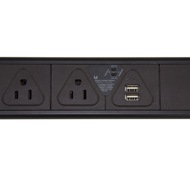 Built in surge protector prevents your mobile devices from damage by voltage spikes. 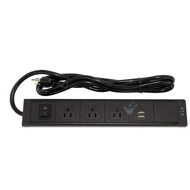 Cost and space savings with one product replacing multiple chargers for different brands of devices. Power-saving design uses less energy, saves money, and helps protect the environment. 100 to 240V AC charger in a slim, stylish aluminium design. 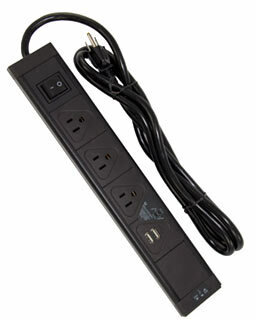 Non-polarized blades fit most outlets and power strips.